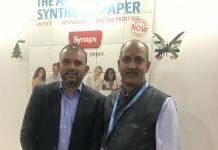 Megabound team at its stand in Printpack 2019. 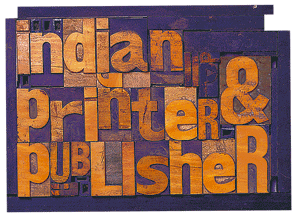 Megabound is one of the market leaders in the postpress and binding equipment segment. 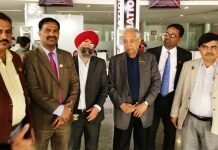 The company is displaying 17 machines for box making and postpress, including machines for other printing and packaging applications at the Printpack India 2019 show. 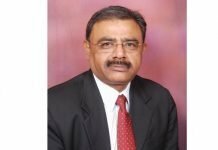 A regular participant at the show, the company is displayed eight machines the first time it participated in Printpack and has over the years grown and added more machines to its product portfolio. Every time the company participates in Printpack, it introduces at least two or three machines to the market. At the current edition of the show, the company introduced its rigid box making machine and the automatic case making machine to the market. On Saturday, 2 February, the company sold 38 machines at the show. 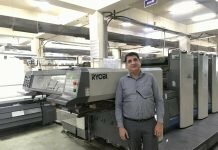 The sold machines include one automatic case making machine, two express booklines, seven semi-automatic case making machines and two perfect binding machines among others. “We are an Indian manufacturer and take pride in saying this. It’s high time people start looking at Indian manufacturers. The myth about Indian machines not being dependable has to be wiped out. I believe we are no less in comparison to western countries. 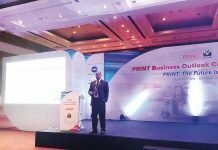 My suggestion to all Indian printers and binders is to consider Indian manufacturers over foreign ones,” says N Sreenivas Reddy, director – Marketing at Megabound. The company is also very particular about the post-sales services it offers to its customers. It has its own service team placed at strategic locations in various parts of the country. The company has deployed 22 people throughout the country and also employs 65 service engineers at its factory in Bengaluru. Megabound provides services to its customers within 12 hours irrespective of its customers’ location. The company has its offices in Delhi, Mumbai, Pune and Kolkata as well. Dubai is the only overseas country where the company has opened its service center. 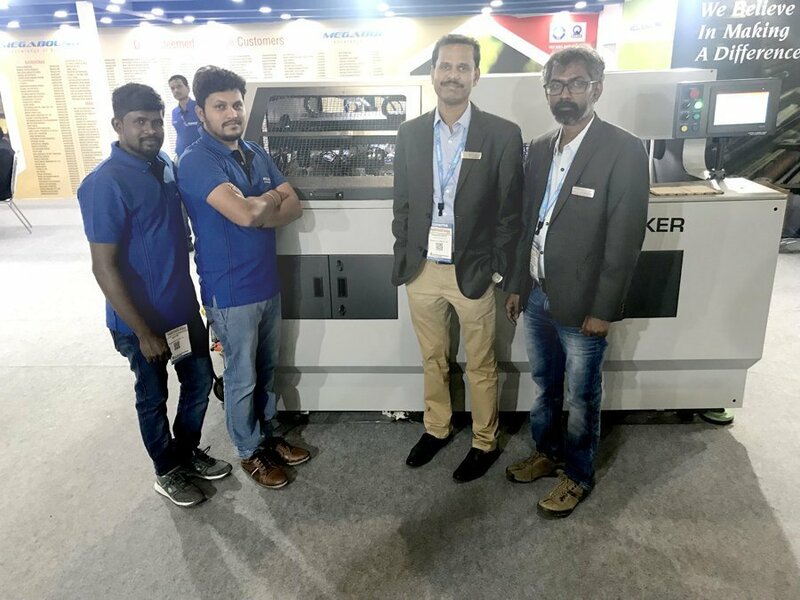 Apart from selling various machines in India, the company also sold a machine in the United States in 2018.